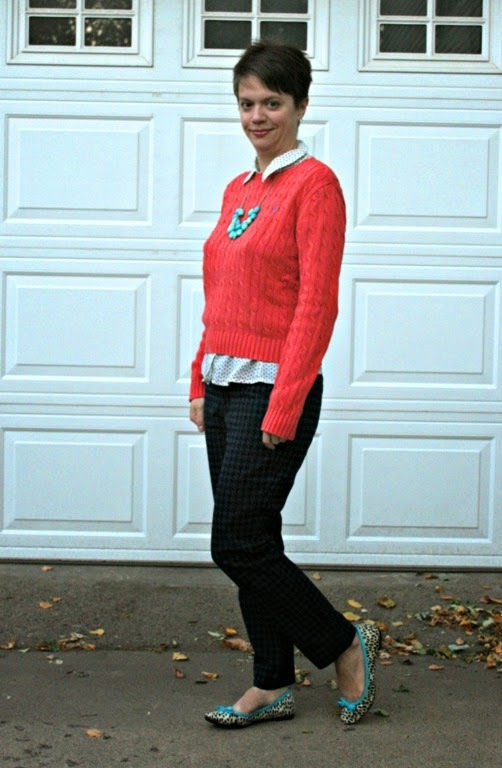 Today's Thrift Style Thursday post, like onions and ogres, has layers. (Shrek for the win!) 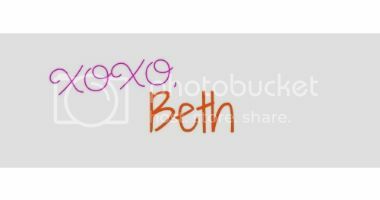 Yes, it's layers for our theme this week and it couldn't be a more perfect day to wear layers - it's chilly out today! It was the first morning I actually had a little frost on my car! Anyway, I chose a couple of thrifted pieces to wear for one of the easiest layered looks around - a sweater over a blouse. 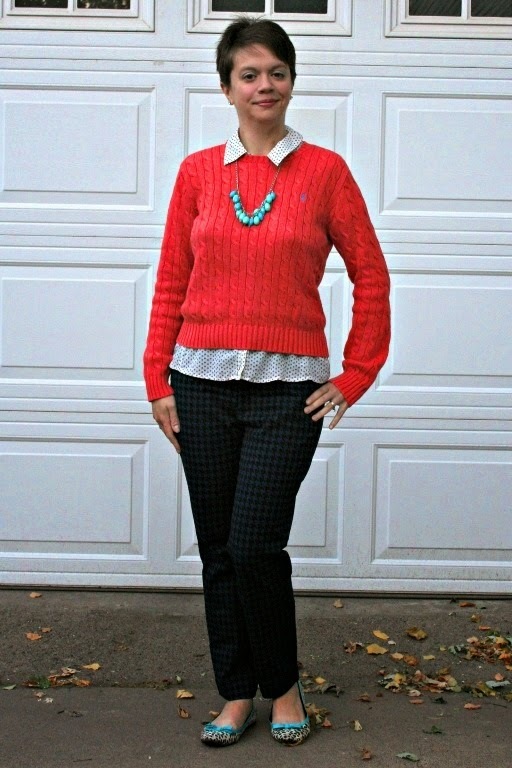 I love this look, it's a little preppy and very fun. I sometimes have trouble layering a sweater over a long sleeve blouse so my little trick here is to do it over a short sleeved one. You still have the collar popping out and the extra shirt poking out under the sweater at the bottom, but you don't have to deal with as much of the bulk! Such a simple, cozy look for Fall! For an extra layer you could add a denim jacket on top of this too and I think it would still look pretty cute! What are your favorite ways to wear layers? 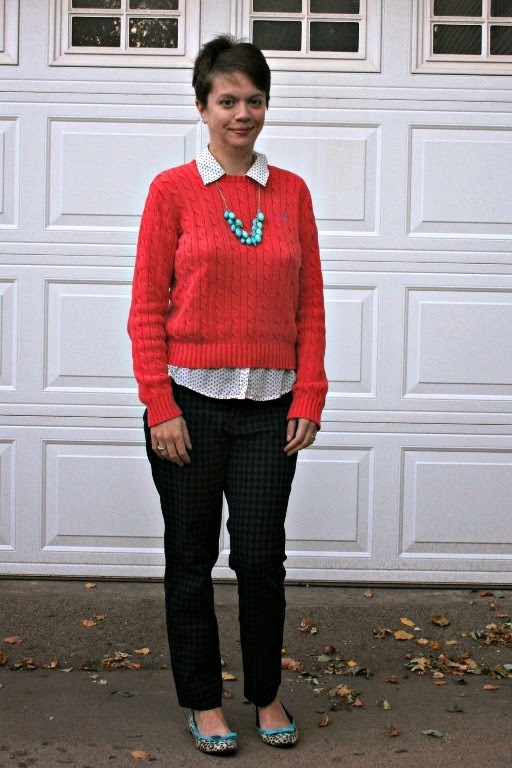 Check out our Thrift Style Thursday Facebook group for more layered look ideas!